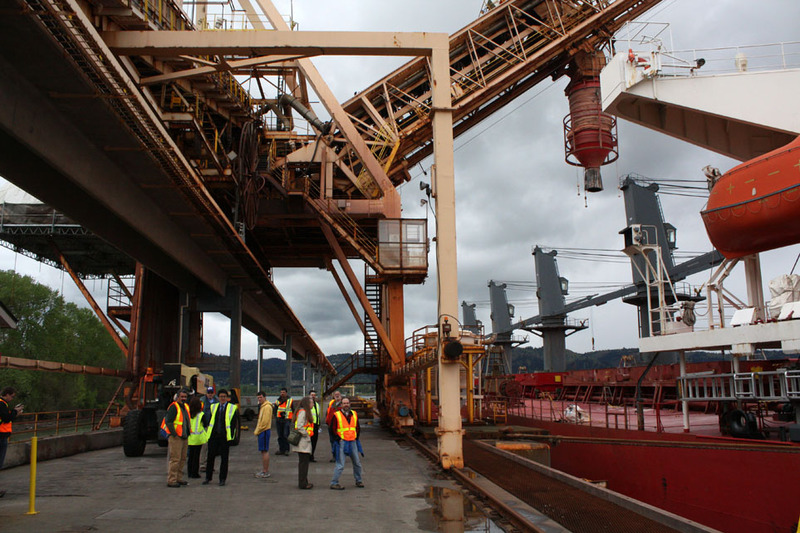 The Port of Portland recently offered a public tour of their Potash terminal in North Portland, which we had the opportunity to attend. 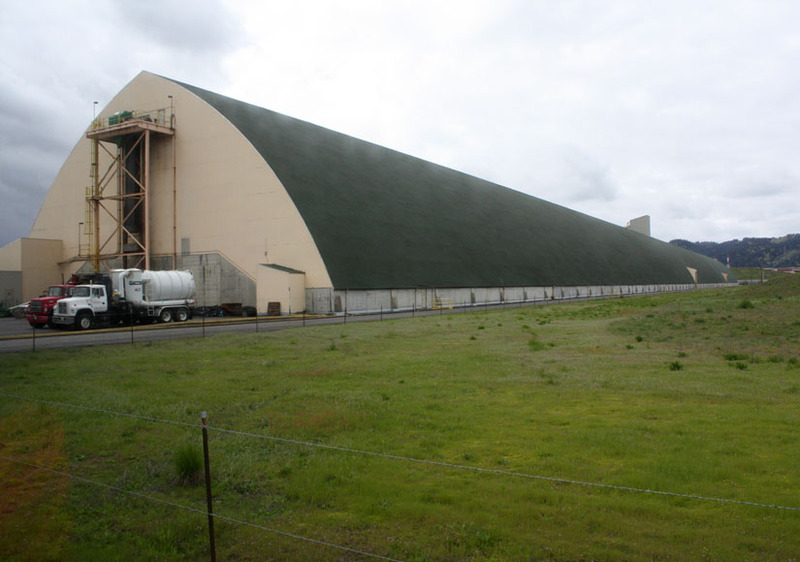 Owned and operated by Canpotex (the largest global exporter of potash), the terminal’s storage facility is 2,085 feet long – which for reference, is approximately 2X the length of a nearby former military blimp hanger, which claims the title of the largest clear span wood frame structure found anywhere. 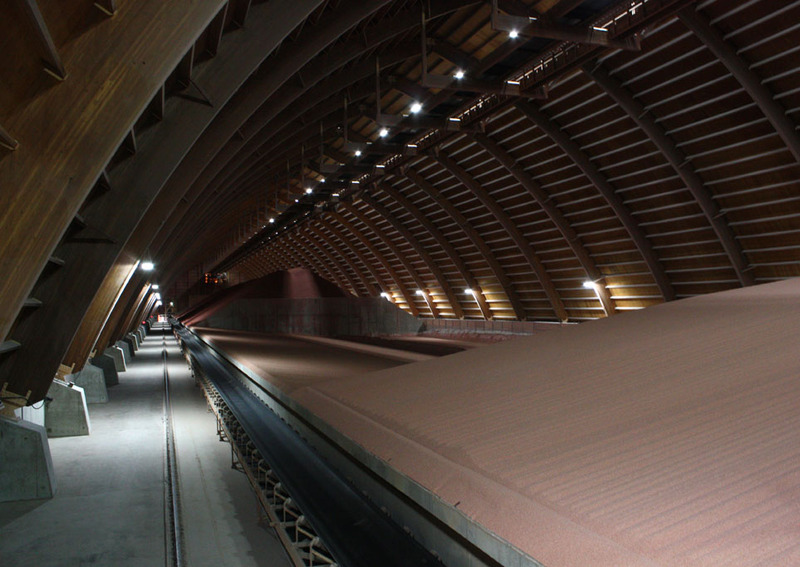 The port storage shed can hold 135,000 metric tonnes of potash delivered to it from a collection of mines in Saskatchewan, with a loading capacity of 3,000 metric tonnes per hour. 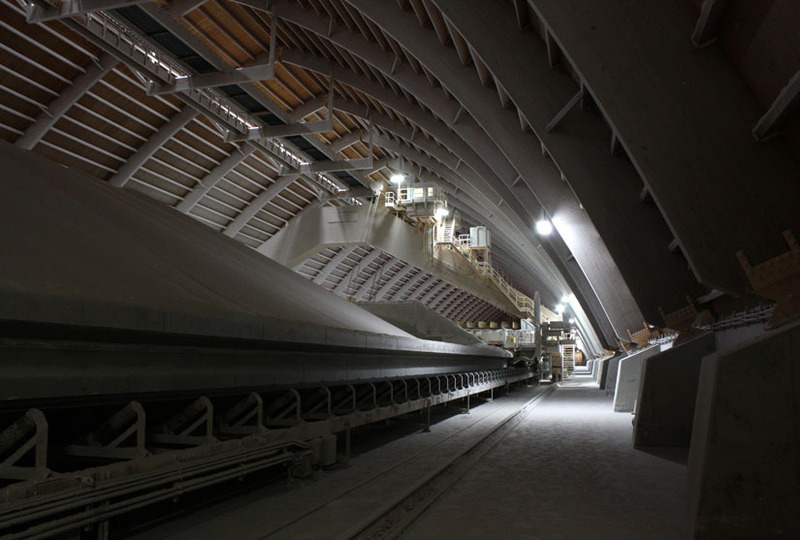 In a typical year, this terminal processes about 3.8 million tonnes of potash, most of which is eventually used as fertilizer (Potash supplies the Potassium( K) component in NPK industrial fertilizers). The remainder is used for industrial applications and the manufacturing of electronics and gadgets. Unlike Phosphate, there are still massive reserves of potash available in deep subterranean mines in Saskatchewan. Its relative abundance is reflected in the infrastructure built to distribute it. 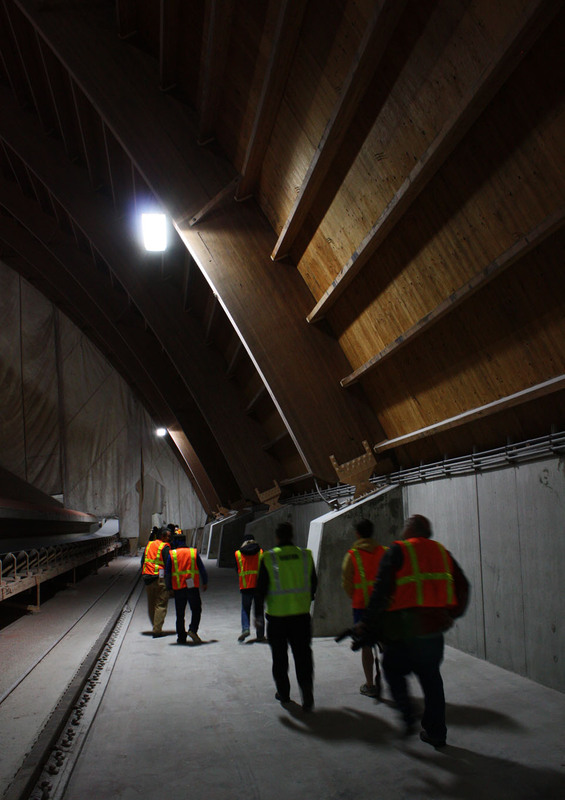 The storage facility is structurally held together with wood rather than steel because wood is not affected by the iron oxide (rust) in the potash, the dust of which often coats the interior of the building. 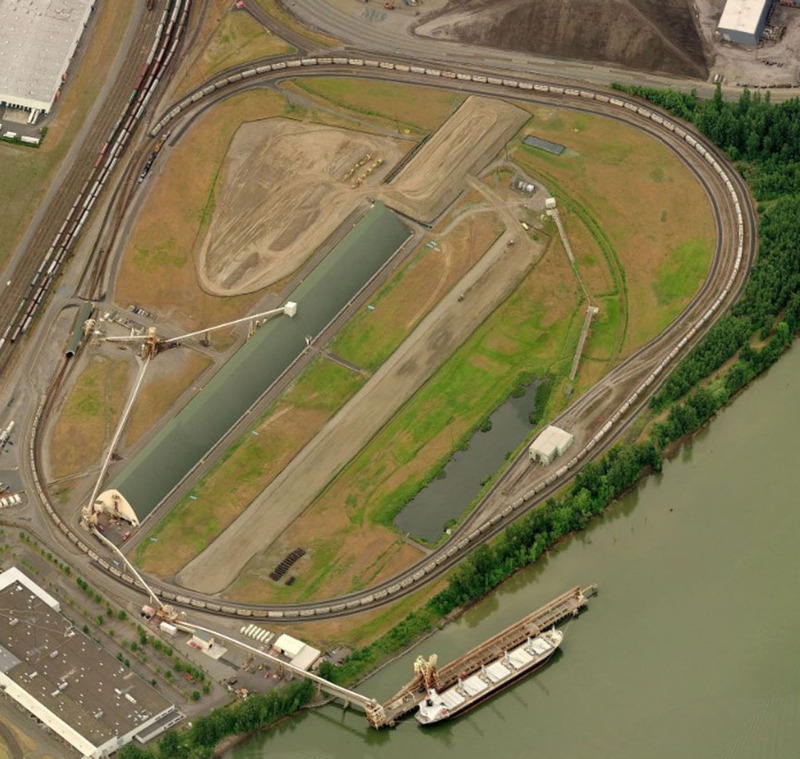 The perimeter of the terminal is roughly delineated by 3 concentric rail loops, each able to hold up to 130 cars. 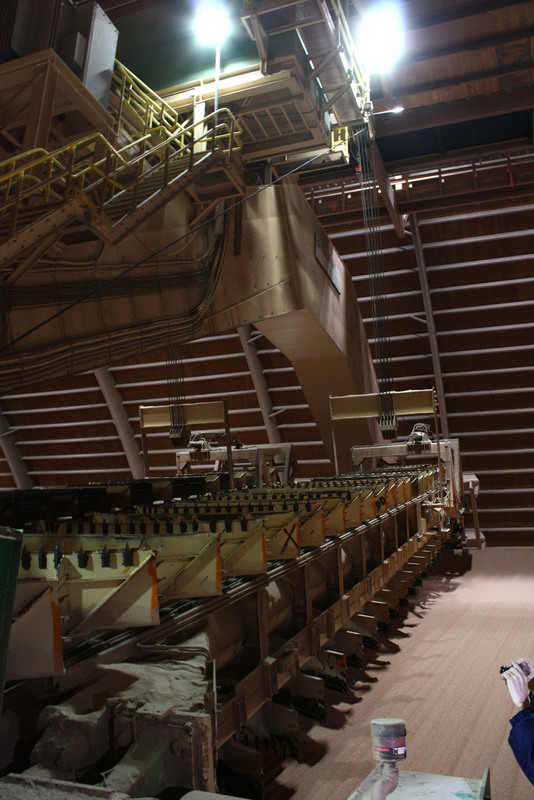 Operating at a robust economy of scale, Canpotex owns the largest private fleet of rail cars (5,000 in total), which are dedicated to transporting twenty different grades of potash and nothing else. Once its trains are in transit from the mines, they assume priority over other rail freight due to their sheer length. 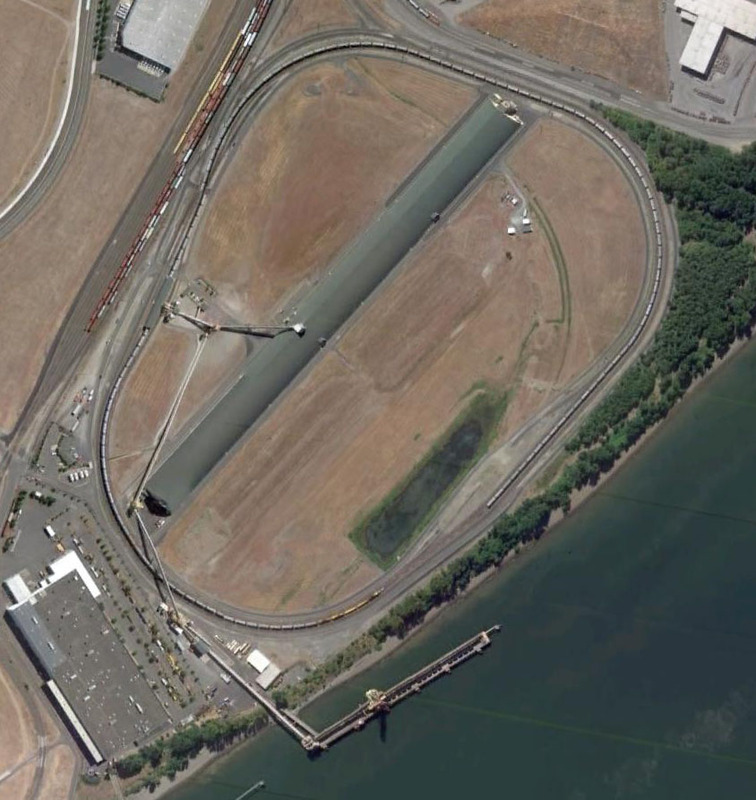 Between the rail loops and the storage shed is a large interstitial field – over half of the 100 acre terminal. Other than the stormwater detention pond (and the Ospreys that nest in manufactured snags around it), the field is largely a residual leftover kept tidy to maintain the terminal’s AQIS level one certification (Australia is a significant target market). This got us speculating as to what kind of generative quarantine garden might be put in place here in a landscape dictated by import regulations from a nation as far away as can be. Perhaps something like a more terrestrial variation of a Species Indetermina garden which could be populated with non-invasive Aussie plant cultivars; like groves of tea trees that might shade out the field of weeds while also providing medicine, food for pollinators and exotic manuca honey. However, anything planted would have to negotiate its terms with the endemic beaver population, which seems to have no problem traversing the thick rail perimeter to chew down all the trees the Port has previously planted within the area. How the potash actually makes the short distance from the storage shed to the awaiting cargo vessels is a logistical feat in itself. 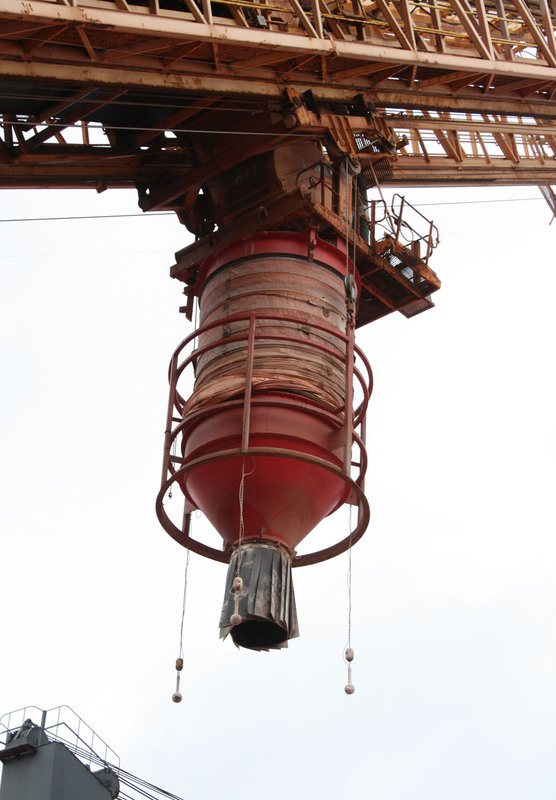 If the powdery refined potash gets wet, it transforms into a solid unusable block. 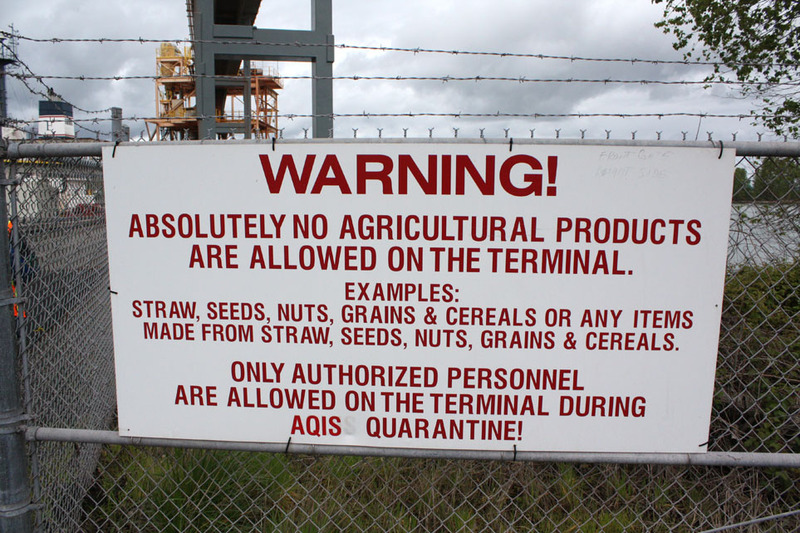 Thus ships can only be loaded with the product when it is not raining….and this is in Portland. While we were standing on the dock the filling of a vessel had been interrupted for that climatic reason. 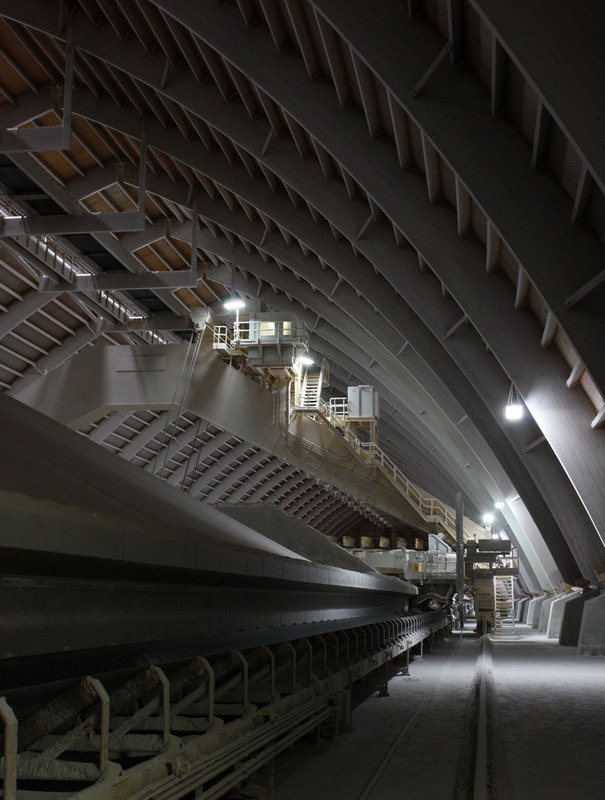 The massive industrial sphincter at the end of the conveyor belts – wonderfully complex in all its dust control technology – quickly retracted and hovered, waiting to continue. The structure seems to be pretty incredible. Does anybody know what type of wood they have used for construction of it? Douglas Fir. Made at Bohemia Laminated Plant Saginaw Oregon. Does anybody know the type of roofing material used on this structure?